When Marko was watching the trailer for the justice league movie, he figured ‘Why don’t we unite as well?’. Mie had been contemplating the possibility of evaluating brown-cheese consumption and cancer, which became the issue of investigation in our project. Other members of the team were selected based on their background and relevance for the issue, with an underlying goal of retaining a mixed composition of participants. Analysis plan was written before the project officially started, and was attached with the funding application from Epinor. 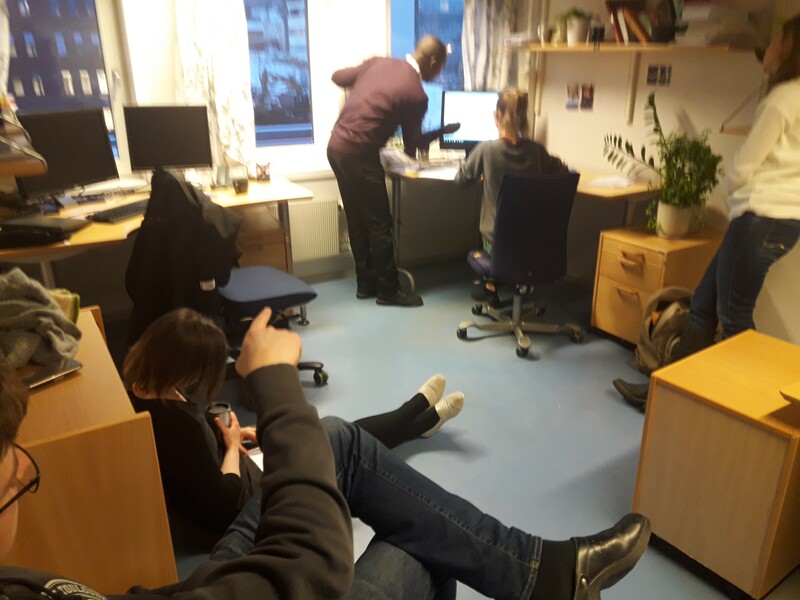 We held a meeting on Friday October 20th to delegate tasks, dataset from NOWAC was received later the same day. We held one subsequent meeting on the following Tuesday. On Friday evening we spent our grant by traveling to Sommarøy Arctic Hotel. This allowed us to work through the weekend. On Sunday afternoon, we left the hotel with a draft for submission. We all feel we have had a good learning experience from the project. Working intensively as a mixed group is a new experience for most of us, and the process of planning, organizing and conducting such a project is a skill that all Phd students should learn during their education. By traveling to Sommarøy, we got away from personal chores that might have disrupted the work. Spending the weekend together also made us more aware of the strengths and weaknesses of our coworkers. Vital for the success was that we worked well together as a group, and had a dataset that was ready for analysis. The time we spent on the project relative to the output, far outweighs what we have learned in any course, any of us have taken. We would all strongly recommend that this becomes a regular initiative in Epinor. Runa Borgund Barnung, Sunday Oluwafemi Oyeyemi, Jan Håkon Rudolfsen, Mie Linnea Jareid, Evgenia Sovershaeva, Marko Lukic.